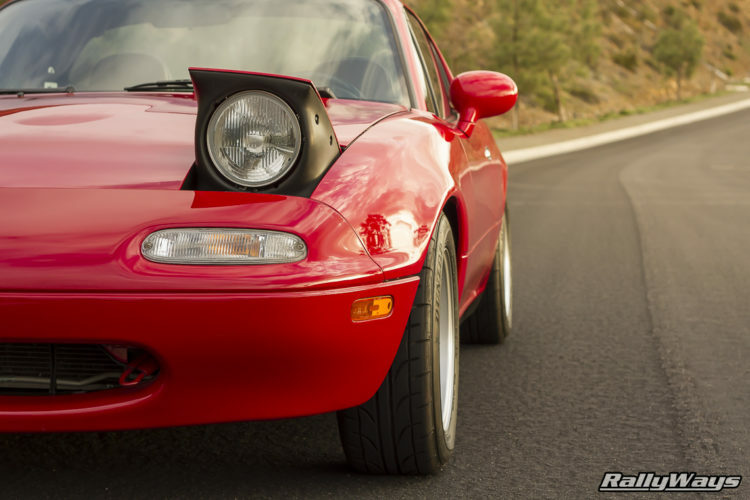 All the details about the 1995 Mazda MX-5 Miata known as the RallyWays Miata. A bit of history on the car as well as a complete parts list with all the upgrades. This is one of the cleanest NA Miatas you will ever see. If you want to be an expert on all things Mazda MX-5 Miata, this is the Miata book you should own. 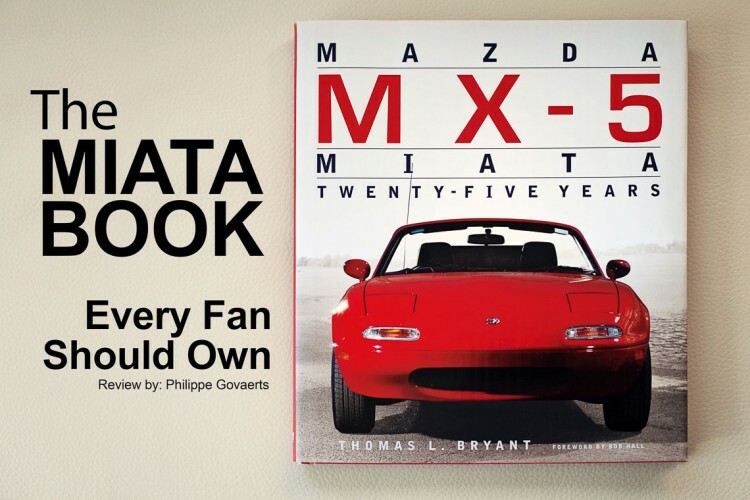 Mazda MX-5 Miata: Twenty-Five Years, by Thomas L Bryant is one of the most complete Miata books on the market. Come see why. Everybody knows that around the world the Miata is most raced car due it’s affordability, availability and performance. 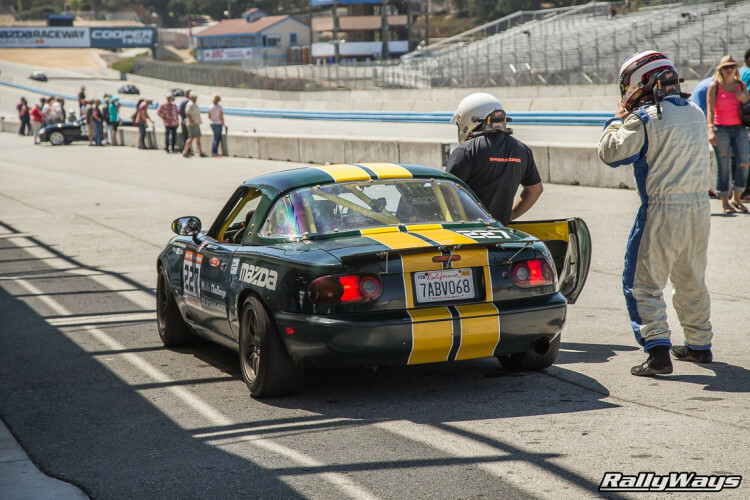 It’s not too fetched that you would consider racing your Miata. Whether it be autocross or full-on wheel to wheel racing, it’s up to you. Shopping for your first Miata? Your second one? 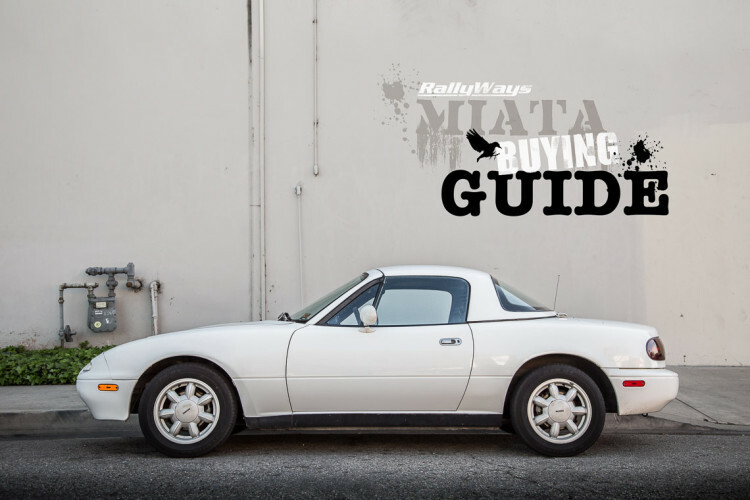 The RallyWays Miata Buying Guide can help you choose the right car for you. This is a very specific checklist on a number of important things you need to look for when buying a Miata. ND Miata Electric Power Steering? Anyone Else Worried? So many modern sports cars are moving from hydraulic steering to electric power steering. 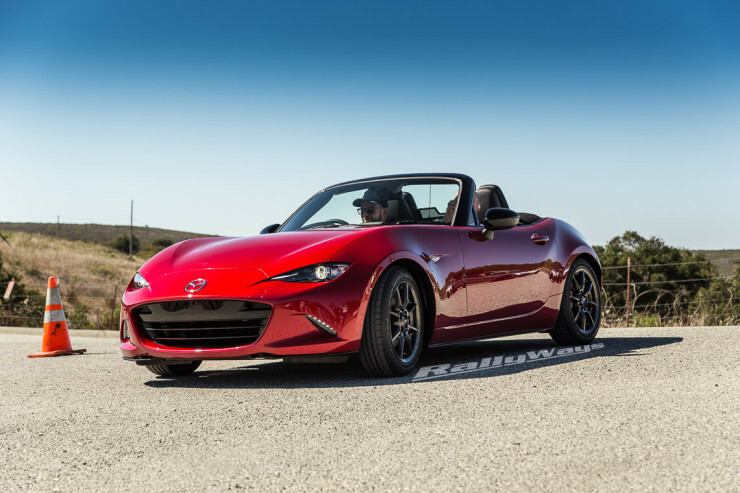 RallyWays looks into the new 2016 Mazda MX-5 ND and we search for clues about its new assisted power steering system. Should we be worried? 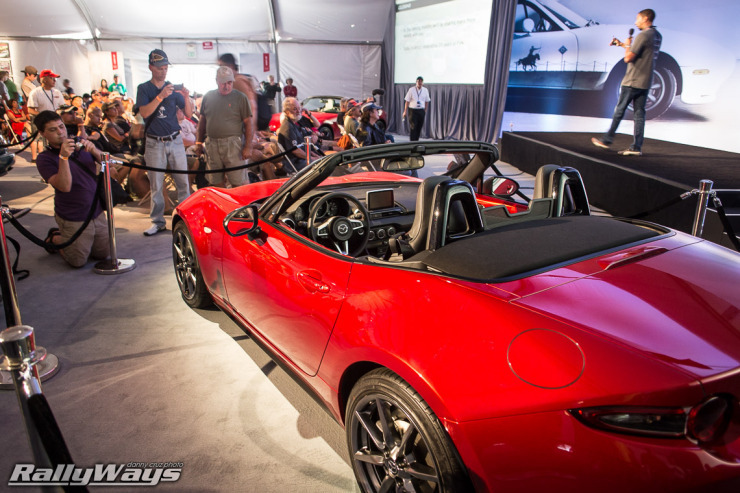 This was one of the first times anybody had seen the new 2016 Mazda MX-5 Miata rolling under its own power – A very special event hosted by Mazda for the Miata fans who attended the first day of the 2014 Miatas at Mazda Raceway Laguna Seca.